Greg Allman will be laid to rest during a private memorial service in Macon, GA on Saturday, June 3. The legendary musician died May 27 at his home in Savannah, GA from complications of liver cancer at the age of 69. Allman’s longtime manager Michael Lehman has announced that the funeral – set for 1 p.m. at Snow’s Memorial Chapel on Cherry Street in Macon – will be a small friends and family-only service. In a private service after the funeral, Allman will be buried next to his brother, Duane, and late bandmate Berry Oakley, at the city’s Rose Hill Cemetery. Duane and Oakley both died in separate motorcycle accidents in Macon just three blocks and a year apart from each other in the early 70s. Allman’s family has invited fans to line the route of the funeral procession to Rose Hill Cemetery. The procession will begin after the memorial service at the intersection of Cherry Street and 1st Street, run north on 1st Street and then turn west onto Riverside Drive to the entrance of Rose Hill Cemetery. “The family respectfully asks for privacy during the memorial service and burial” read the official statement on Allman’s social media sites. 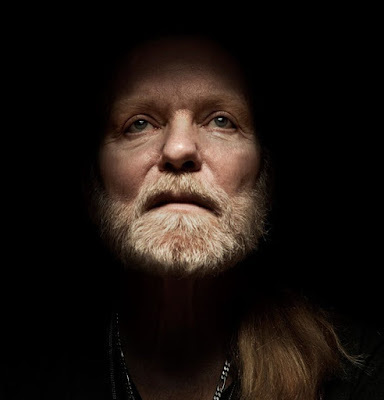 Gregg Allman was born in Nashville, TN in 1947. After playing in a number of groups to various degrees of success, Gregg and Duane formed the Allman Brothers Band in 1969 after a series of jams with guitarist Dickey Betts, bassist Berry Oakley, and drummers Butch Trucks and Jai Johanny "Jaimoe" Johanson. Playing through several lineup changes and the highs and lows of a career in the music industry, the Allman Brothers Band performed its final show at the Beacon Theater in New York City on October 28, 2014 after 45 years together. Gregg is survived by his wife Shannon Allman, his children Devon, Elijah Blue, Delilah Island Kurtom and Layla Brooklyn Allman; 3 grandchildren, his niece Galadrielle Allman, lifelong friend Chank Middleton, and a large extended family.